This tree is to pay homage to our favorite movie, ‘Now, Voyager’. 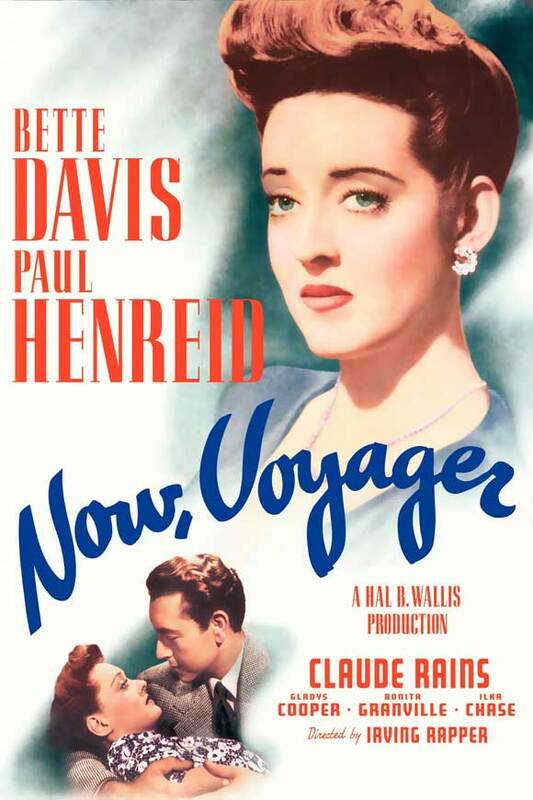 Have you ever seen ‘Now, Voyager’? One of our favorite parts is when Jerry says that Charlotte looks like a camellia in a white dress she is wearing while on their cruise. When she returns to Boston, Charlotte receives a corsage of camellia flowers from Jerry and then she continues to wear camellias on her dresses as a reminder of her love for him. 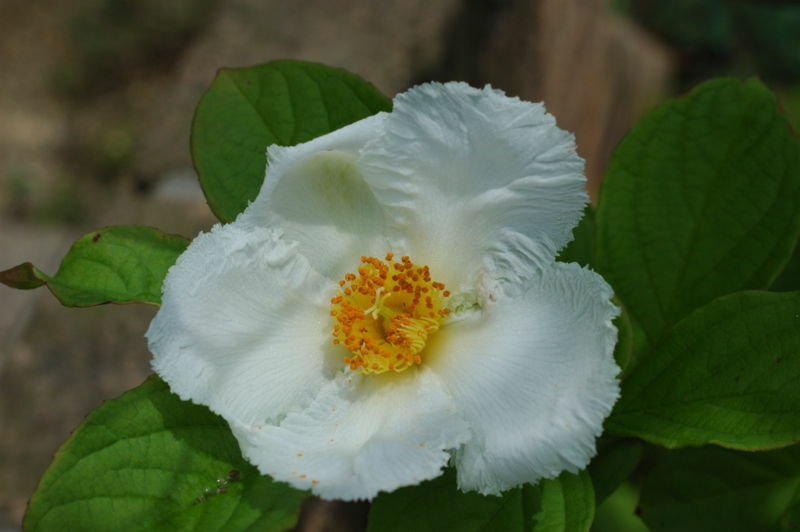 Stewartia Pseudocamellia is a plant species in the genus Stewartia in the family Theaceae, native to Japan and Korea. 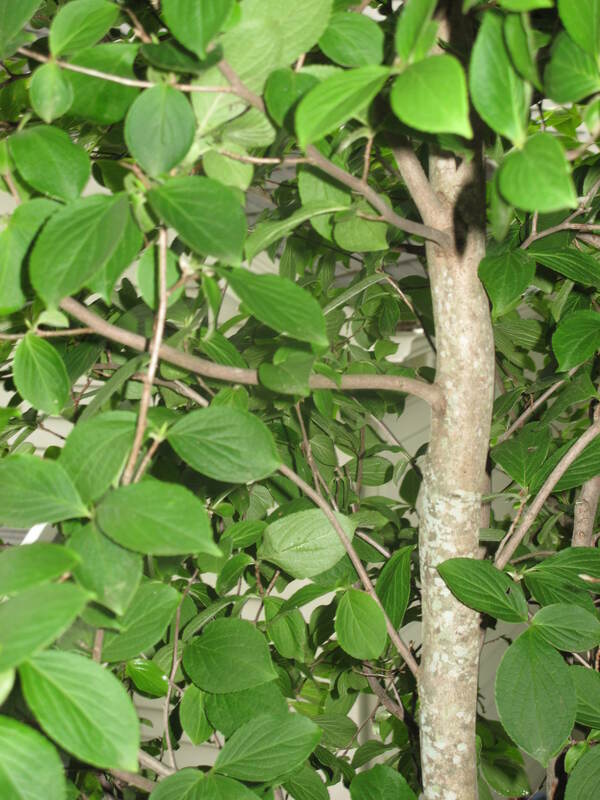 It is a small to medium-sized deciduous tree, often with multiple stems and/or low branching trunks. The bark is smooth textured, exfoliating as the plants age and has a camouflaged or mottled appearance with patterns of dull orange and green with grey mixed in. Because of this, it has great Winter appeal as it displays its bark against the snowy landscape. The trees are pyramidal to rounded in shape with deep green colored foliage. Young stems have a zig-zag shape with flattened, divergent buds. 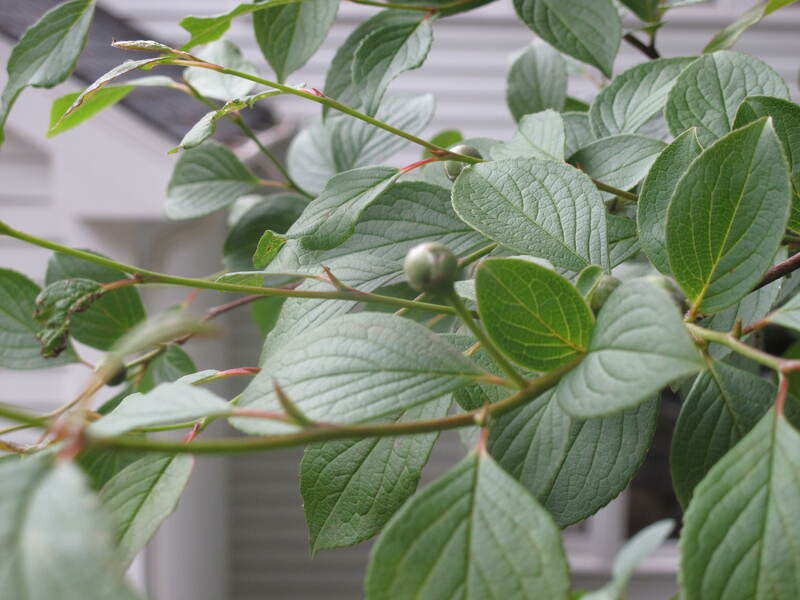 The leaves are arranged alternately on the stems with an elliptical shape and finely serrated edges. In the fall the foliage turns yellow, red or purple. The flowers have five white petals with orange anthers and are shaped like Camellia flowers, round and flat to somewhat cupped. They are produced in Summer, generally in June until the end of August. Each flower is short-lived, but many are produced that open over many weeks. 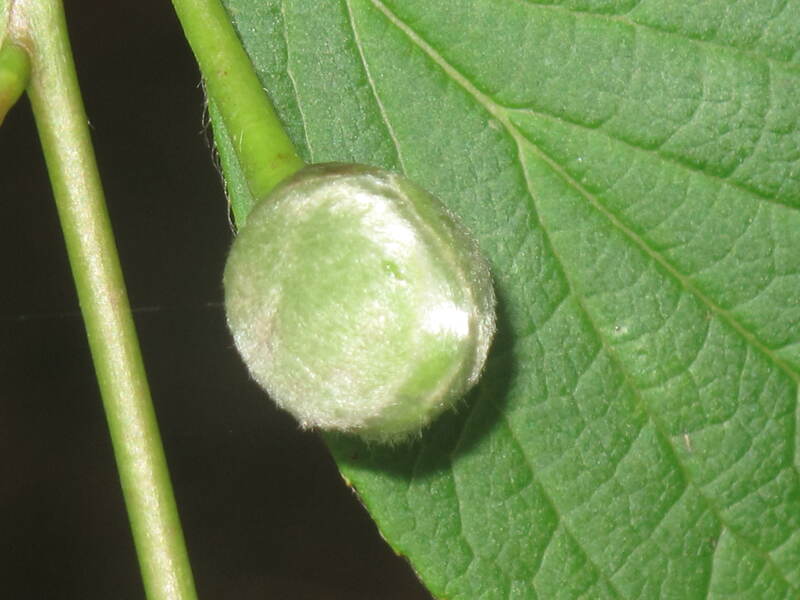 The fruit is a brown capsule, triangular in shape with four or five angles, persistent on the trees but not showy. We’ve often said that we like plants in our garden on Glen Road that are unique in nature or have a story behind them. 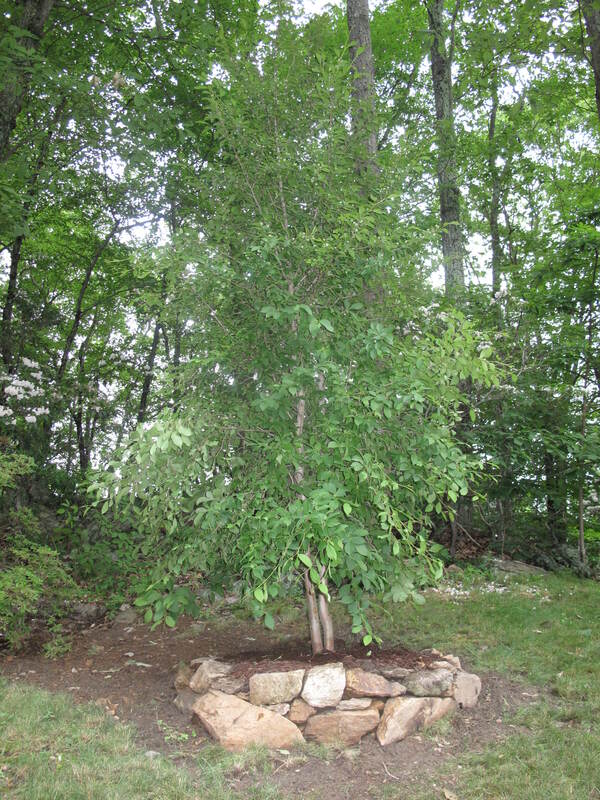 So the Stewartia fits right into what we like in the garden. 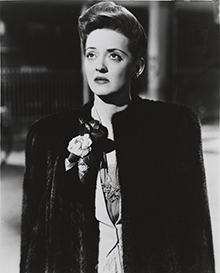 So now you know that on a clear night when the moon and the stars are shining bright, we will be outside standing by the Stewartia talking about ‘Now, Voyager’. 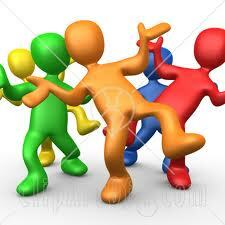 The two of us and the Yorkie….let’s consider her our Tina. What are your favorite old-time movies?